Legume-rhizobia symbioses are important components of southern Australian agricultural systems, in which symbiotic N2-fixation provides a significant amount of the nitrogen input that is required to boost food and animal production [1,2]. Traditionally, pasture legumes have been Mediterranean annuals such as medics and subterranean clover . However, recent changes to the rainfall patterns in south-western Western Australia, resulting in a 10-20% decrease in annual rainfall , have adversely affected production from these annual legumes. Researchers are therefore seeking to introduce alternative perennial legume species and associated rhizobia that are better adapted to the arid climate and acid, infertile soils found in these systems . Among the perennial, herbaceous forage legumes selected for further study are several species within the papilionoid legume clade Lotononis sensu lato. M. lotononidis strain WSM3557T is a motile, Gram-negative, non-spore-forming rod with one to several flagella (Figure 1, left and center panel). It is a member of the family Methylobacteriaceae in the class Alphaproteobacteria (Figure 2). WSM3557T is fast growing, forming 0.5-1.5 mm diameter colonies within 2-3 days. It is moderately thermophilic and has a mean generation time of 1.6 h when grown in broth at the optimum growth temperature of 41°C . WSM3557T is pigmented, an unusual property for rhizobia. Colonies on half Lupin Agar (½LA)  are pale pink, opaque, slightly domed, moderately mucoid with smooth margins (Figure 1, right panel). The color develops after several days. WSM3557T is able to tolerate a pH range between 6.0 and 9.5 . Carbon source utilization, cellular fatty acid profiles, polar lipid analysis and respiratory lipoquinone analysis have been described previously . 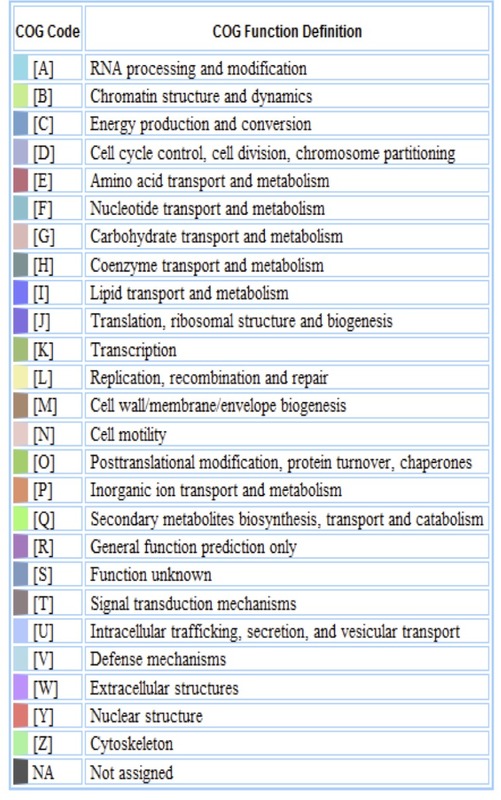 Minimum Information about the Genome Sequence (MIGS) is provided in Table 1. 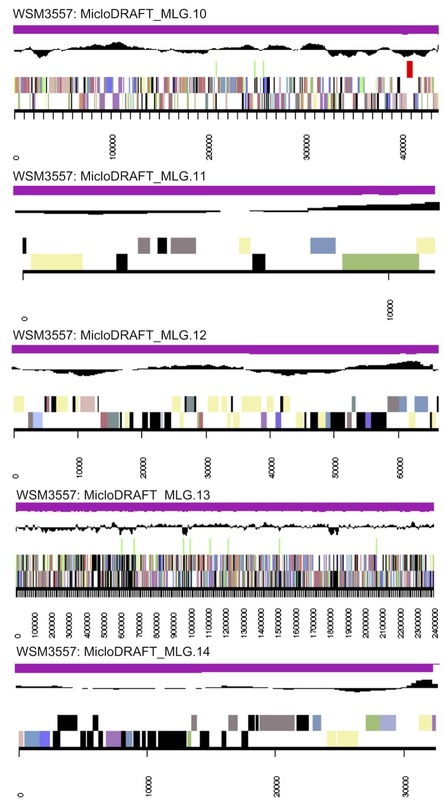 The improved high quality draft genome of Microvirga lotononidis WSM3557T was generated at the DOE Joint Genome Institute (JGI) using a combination of Illumina  and 454 technologies . An Illumina GAii shotgun library comprising 71,475,016 reads totaling 5,432.1 Mb reads and 1 paired end 454 library with an average insert size of 10 Kb which produced 582,107 reads totaling 113.9 Mb of 454 data were generated for this genome. All general aspects of library construction and sequencing performed at the JGI can be found at . The initial draft assembly contained 444 contigs in 1 scaffold. The 454 paired end data was assembled together with Newbler, version 2.3 PreRelease-6/30/2009. The Newbler consensus sequences were computationally shredded into 2 Kb overlapping fake reads (shreds). Illumina sequencing data was assembled with Velvet, version 1.0.13 , and the consensus sequences were computationally shredded into 1.5 Kb overlapping fake reads (shreds). The 454 Newbler consensus shreds, the Illumina Velvet consensus shreds and the read pairs in the 454 paired end library using parallel phrap, version SPS - 4.24 (High Performance Software, LLC) were integrated. The software Consed [28-30] was used in the following finishing process. Illumina data was used to correct potential base errors and increase consensus quality, using the software Polisher developed at JGI (Alla Lapidus, unpublished). 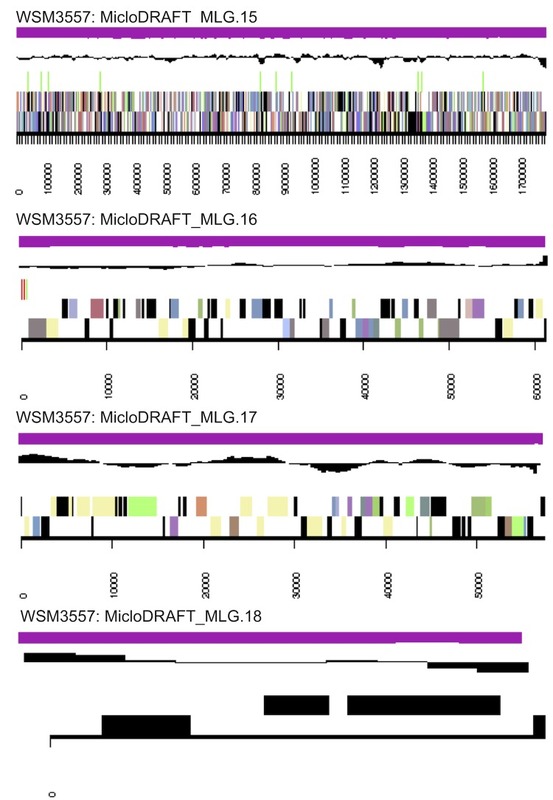 Possible mis-assemblies were corrected using gapResolution (Cliff Han, unpublished), Dupfinisher , or sequencing cloned bridging PCR fragments with subcloning. Gaps between contigs were closed by editing in Consed, by PCR and by Bubble PCR (J-F Cheng, unpublished) primer walks. A total of 303 additional reactions were necessary to close gaps and to raise the quality of the finished sequence. The estimated genome size is 7.2 Mb and the final assembly is based on 59.7 Mb of 454 draft data which provides an average 8.3× coverage of the genome and 2,160 Mb of Illumina draft data which provides an average 300× coverage of the genome. Howieson JG, Yates RJ, Foster K, Real D, Besier B. Prospects for the future use of legumes. In: Dilworth MJ, James EK, Sprent JI, Newton WE, editors. Leguminous Nitrogen-Fixing Symbioses. London, UK: Elsevier; 2008. p 363-394. George RJ, Speed RJ, Simons JA, Smith RH, Ferdowsian R, Raper GP, Bennett DL. Long-term groundwater trends and their impact on the future extent of dryland salinity in Western Australia in a variable climate. Salinity Forum 2008. 2008.
van Wyk BE. A Synopsis of the Genus Lotononis (Fabaceae: Crotalarieae). Cape Town, South Africa: Rustica Press; 1991. Ardley JK. 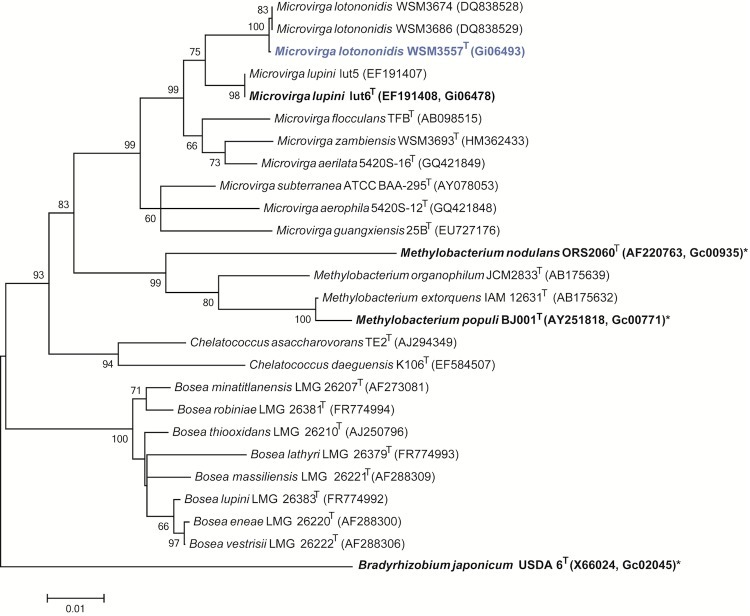 Symbiotic specificity and nodulation in the southern African legume clade Lotononis s. l. and description of novel rhizobial species within the Alphaproteobacterial genus Microvirga: Murdoch University, Murdoch, WA, Australia; 2012. Garrity GM, Bell JA, Lilburn T. Class I. Alphaproteobacteria class. In: Garrity GM, Brenner DJ, Kreig NR, Staley JT, editors. Bergey's Manual of Systematic Bacteriology. Second ed: New York: Springer - Verlag; 2005, p 1. Kuykendall LD. Order VI. Rhizobiales ord. nov. In: Garrity GM, Brenner DJ, Kreig NR, Staley JT, editors. Bergey's Manual of Systematic Bacteriology. Second ed: New York: Springer - Verlag; 2005. p 324. Garrity GM, Bell JA, Lilburn TG. Family IX. Methylobacteriaceae In: Garrity GM, Brenner DJ, Krieg NR, Staley JT, editors. Bergey's Manual of Systematic Bacteriology. Second ed. Volume 2. New York: Springer - Verlag; 2005, p 567. Han C, Chain P. Finishing repeat regions automatically with Dupfinisher. In: Valafar HRAH, editor. Proceeding of the 2006 international conference on bioinformatics & computational biology: CSREA Press; 2006. p 141-146.